The seller is MOTIVATED! 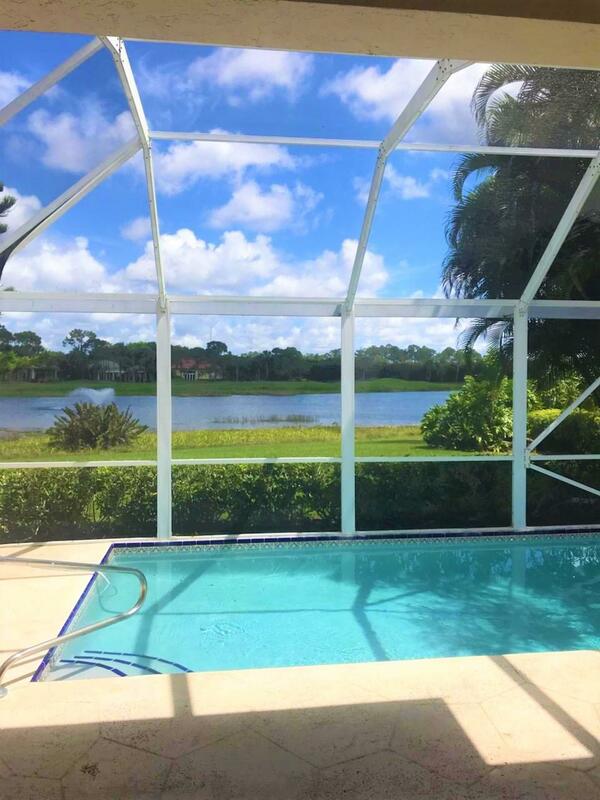 You will not be disappointed with this newly renovated pool home in the beautiful Ibis Golf & Country Club. You really can have it all! The home has been tastefully updated starting with the wood tile floors which enhance the casual elegance of the 3 bedroom split floor plan. The kitchen has new white shaker cabinets and stainless steel appliances. The granite counter tops add drama to the light and bright kitchen. From the kitchen and adjoining family room you can enjoy the gorgeous views of the pool and beyond that, the lake. From the master bedroom enjoy sunset vistas as you look out at the same pool and lake views. The pool has been completely resurfaced. Third bedroom is currently used as a den but seller will convert to bedroom if desired. Brand new A/C!Keep your valuables locked up in the master bedroom floor safe. Club membership is required. 3 golf courses, 16 tennis courts, Oasis pool, pickle ball , bocce, playground and dog park. Members also enjoy and take advantage of the Full service Spa and 4 restaurants. Capital Improvement Assessment for clubhouse renovation is $159.00 / month until 2023.